Providing you the best range of senior bat ball sets no. 4, baby bat ball sets no. 1, nano bat ball sets no. 2 and junior bat ball sets no. 3 with effective & timely delivery. 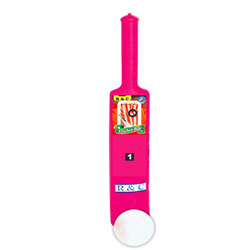 Well-known in the industry as one of the leading manufacturers, suppliers and exporters, we are offering a wide array of Senior Bat Ball Sets. Best-in-class raw materials are used in the manufacturing process of these sets to ensure durability. Apart from this, these bat ball sets are delivered within committed time-period at the clients' premises. Counted among the enviable organizations, we are engrossed in manufacturing, supplying and exporting a wide array of Baby Bat Ball Sets. Demanded by kids for playing, the offered sets are developed as per the prevailing market trends. 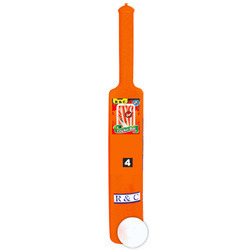 Moreover, these bat ball sets are provided in different colors to suit the demands of customers. With the firm commitment towards quality, we are engaged in manufacturing, supplying and exporting a wide array of Nano Bat Ball Sets. Employing modern machinery and technology, the offered sets are manufactured in adherence to the guidelines laid in the industry. Besides, these bat ball sets can be customized as per the requirements of clients. Taking quality as our prime concern, we are engaged in manufacturing, supplying and exporting a wide array of Junior Bat Ball Sets. 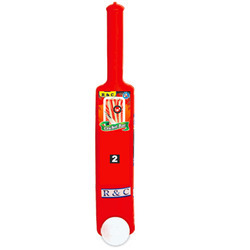 Keeping in mind the requirements of customers, we are manufacturing these bat ball set to suit the demands of kids. Also, to ensure no defects, these ball sets are checked on various parameters.